One may say with reasonable confidence that your average traveller outside Ukraine will have likely never heard of Motor Sich Airlines. 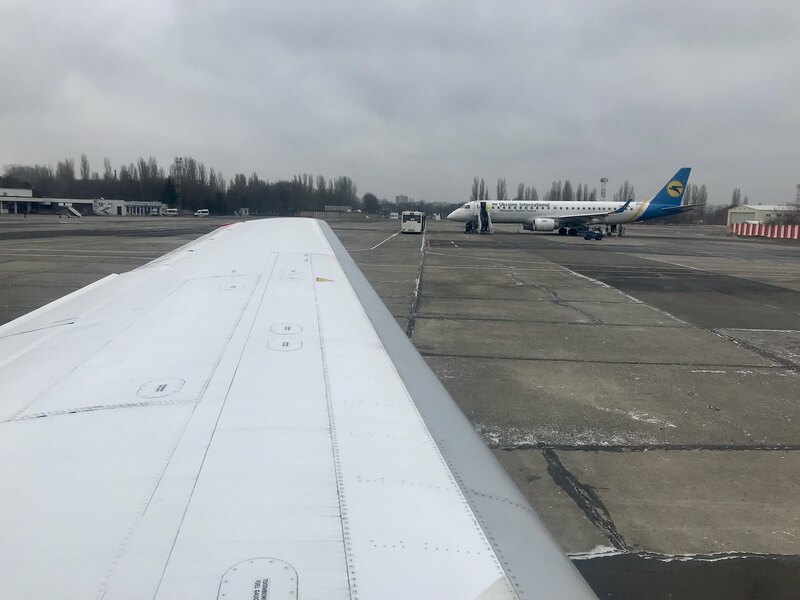 Their route network, whilst connecting three of Ukraine’s major cities with Kiev Zhulyany does not extend internationally beyond Minsk and their fleet of passenger aircraft is miniscule when compared to national airline, Ukraine International. However, the airline does enjoy a somewhat legendary status amongst many aviation enthusiasts across Europe as it is the final carrier operating Soviet built aircraft on scheduled passenger flights within Europe (outside of Russia). Such flights are usually operated with the airline’s fleet of three Antonov 24s and sole Antonov 140 (admittedly not a Soviet built aircraft, but an incredibly rare type). Given the above, I had long been planning a trip with the airline. 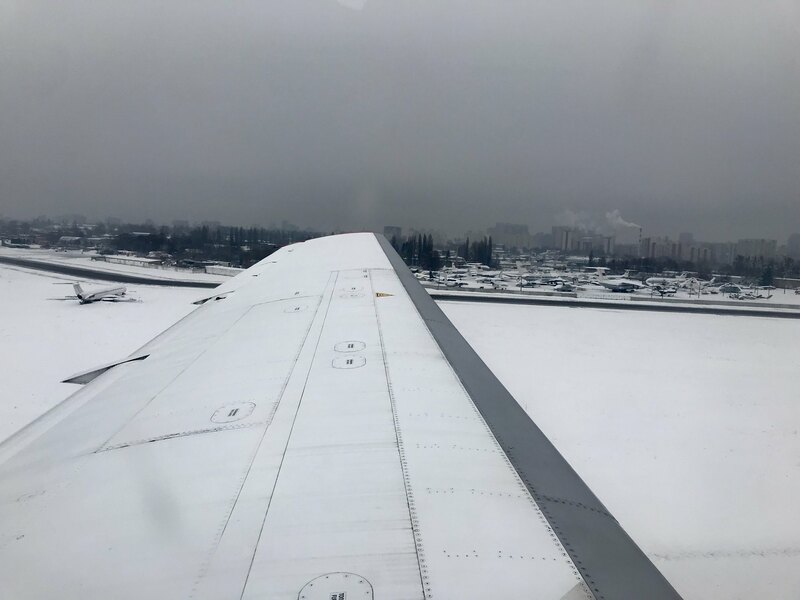 Thanks to abundance of cheap flights between London and Kiev, financially this was not to be the most taxing of experiences to undertake although I could never muster the time to make the trip. As the airline’s fleet is trackable on flight radar apps, I was aware that the airline’s three Yak-40s and single Antonov 72 made occasional appearances on the airline’s passenger services however usage of these was sporadic and failed to appear on timetables. 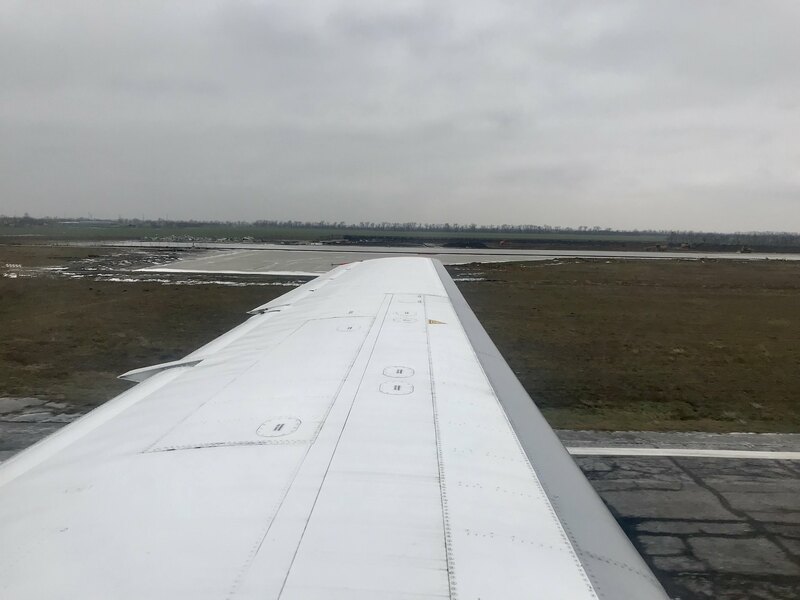 In mid-December however, I noticed that the airline’s sole Antonov 140 had been on the ground in Zaporizhia since the start of the month and that the airline’s two Ukrainian Yaks had been operating the airline’s services from Kiev to Odesa and Zaphorizhia. Seeing this as my cue to finally make the trip to Ukraine, I soon started planning a trip. 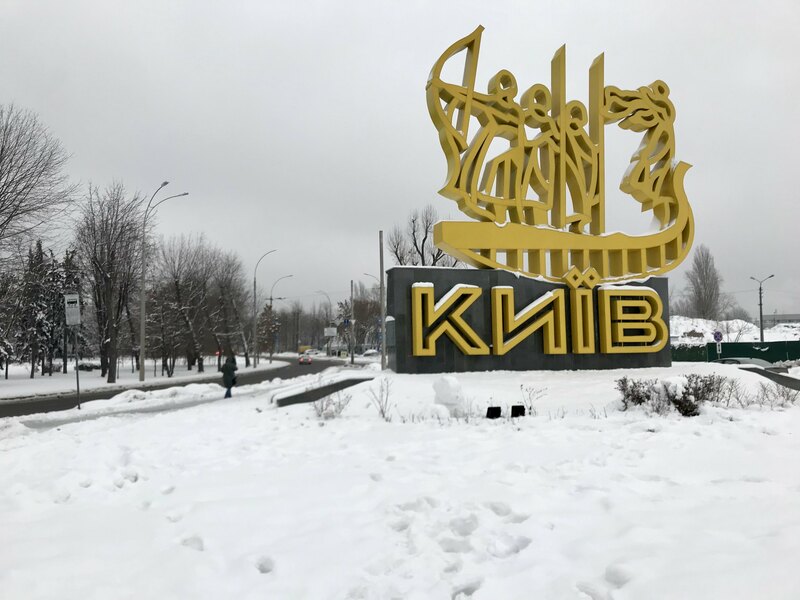 As this was going to be my first trip out of Kiev, I opted to head to Odesa due to its multiple tourist attractions located within the city centre. This was a decision I later discovered had been well-made as whilst in Ukraine, the Zaporizhia based Yak-40 ended up flying to Minsk instead of Kiev for several days. Despite the airline operating a fleet of mostly ‘vintage’ aircraft, the carrier’s website is quite the opposite – bright, modern and easy to navigate. 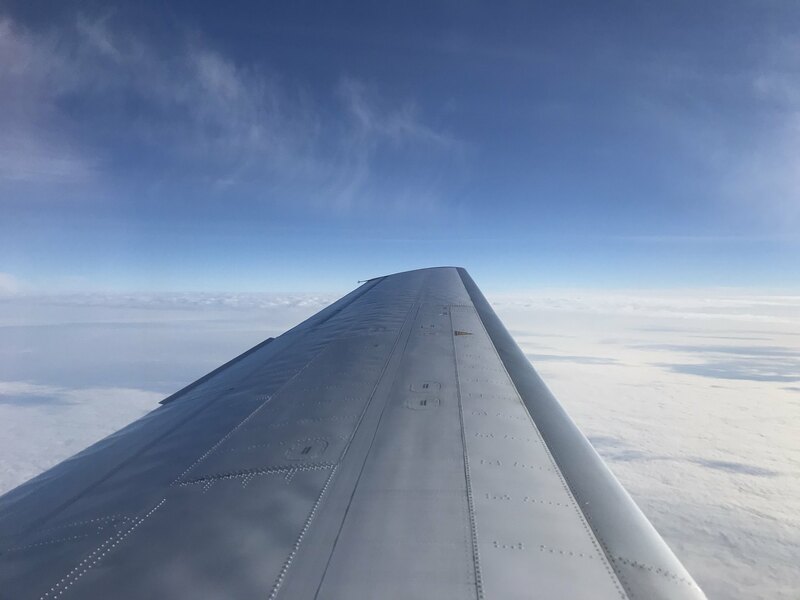 Furthermore, aside from the airline’s booking engine, the site offers a wide range of pages detailing virtually everything an average passenger would want to know about their flight and the airline. For those not so au fait with Ukrainian, the site can also be used in English and Russian and I failed to spot a single error in language for the former option. Wasting no time, I selected my route (Kiev-Odesa) and dates before proceeding to find flights. Motor Sich Airlines offers two daily flights in each direction – a morning and an evening departure at TIMES from Kiev and TIMES from Odesa. As I had expected, the aircraft type for all of these was, as always, listed as the ‘An-140’. With less than a week to go, each of these was a little more expensive than one can expect to pay if they book a few weeks in advance, totalling 4195 UAH (around 120 GBP/130 EUR/150 USD). After selecting my flights, I was taken to the passenger information page before heading to the payment page. After entering my card details and going through my bank’s verification procedure, I received confirmation of my purchase and was all set to go and fly on some interesting aircraft! From start to finish, the entire ticket booking procedure took no more than three minutes and was as easy, if not easier than booking with a major international airline. In fact, I suspect that Motor Sich Airlines perhaps offer the easiest booking experience of all airlines still operating such vintage Soviet types. Like the booking process, check in was easy and quick and after entering my details I was taken to the seat selection screen. Despite the fact that the aircraft type was still listed as an Antonov 140 – the seats only showed row 3 to 7. 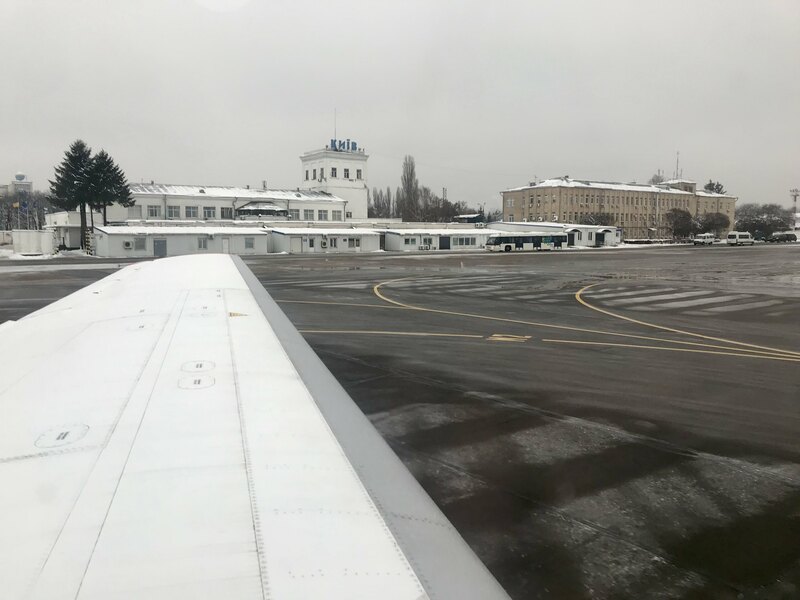 Many of those who have made the trip to Ukraine to fly on Motor Sich Airlines’ classic aircraft may likely be well acquainted with the Royal Congress Hotel. Being the only hotel within a reasonable distance from Kiev Zhulyany’s terminal, its location is ideal for on the airline’s morning flights. 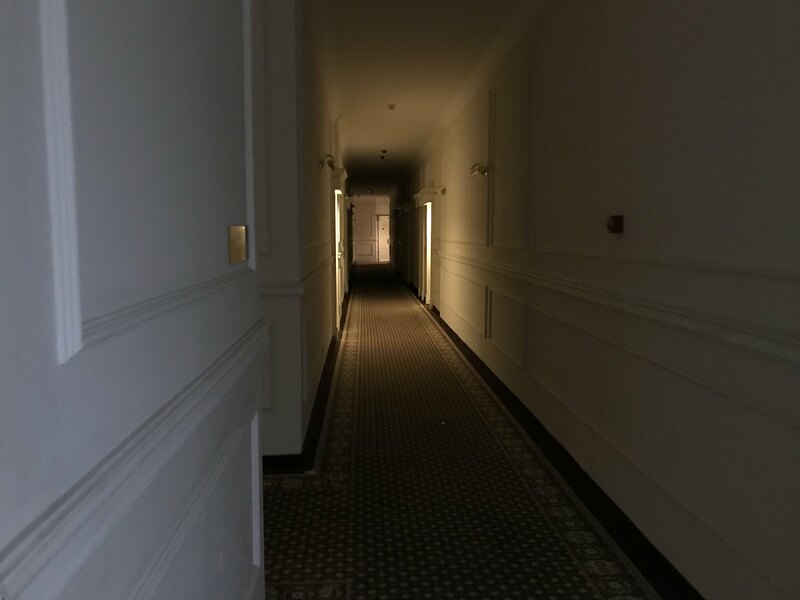 Ignoring the dark corridors and the bathroom door handle which came off in my hand (fortunately I was able to fix this) it can be concluded that this hotel is no Ritz Carlton or similar. Yet being costing only around £25 per night and within walking distance of the airport, the hotel was certainly good enough in my books. 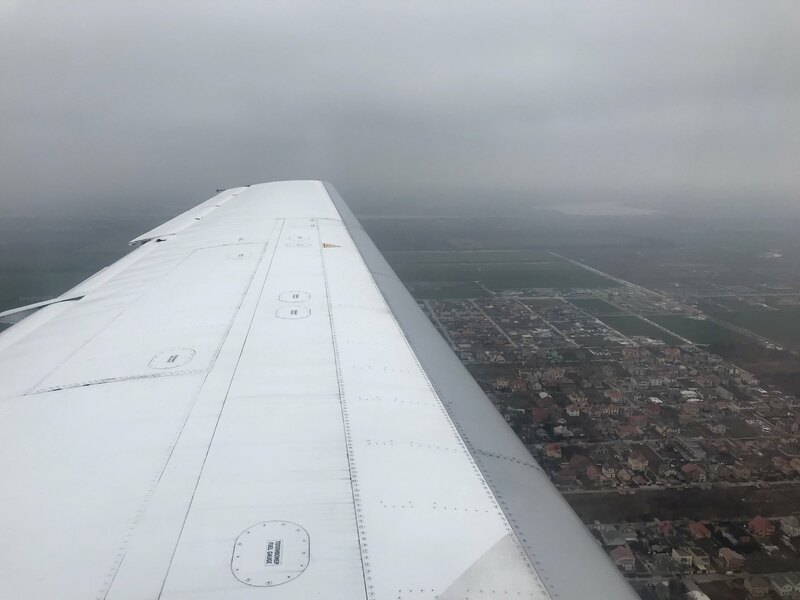 As with all of Motor Sich’s domestic flights, check in for my service to Odessa opened at 0820 – an hour and a half prior to the scheduled departure time and closed thirty minutes before the departure time. 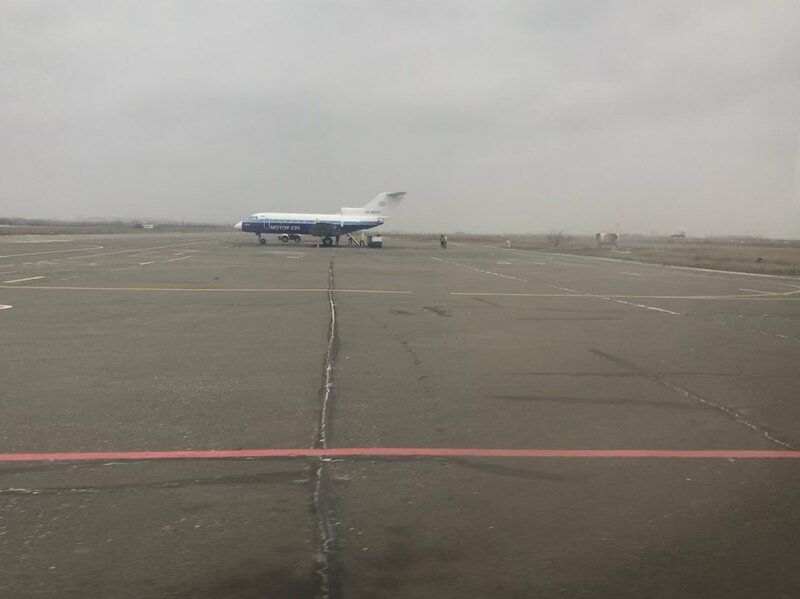 Not wanting to cut things too fine and also to allow myself some time to look around Zhulyany Airport, I decided to aim to arrive at the terminal for 0840 meaning I left the hotel at 0820. As long as one proceeds in the right direction (literally) and takes care when crossing the road, little can go wrong on the short walk to the airport. 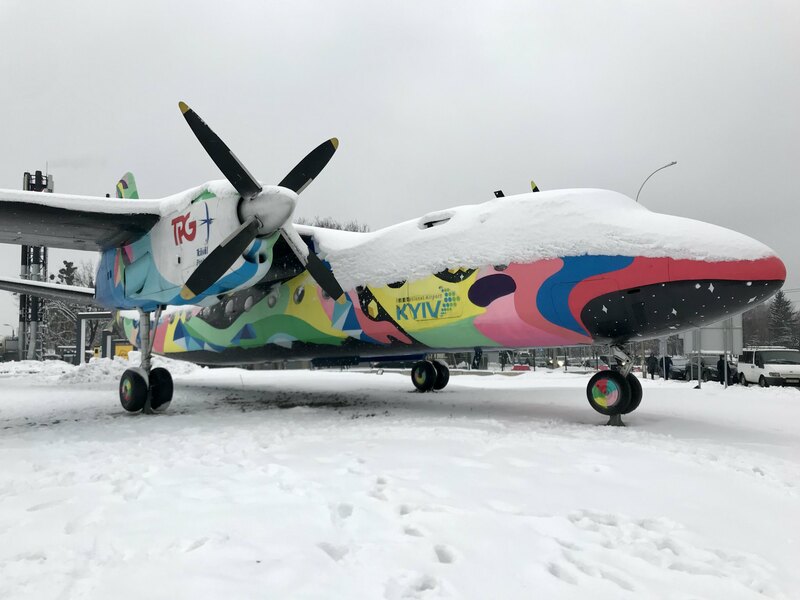 After walking for a little over ten minutes down well cleared pavements, I arrived at Kiev Zhulyany’s gate guard – a colourful Antonov 24. From there, I headed towards the large international terminal before turning left towards the much more modest yet still modern, ‘Terminal D’. Servicing only four departures each weekday, all of which are operated by Motor Sich Airlines, the terminal is understandably very small with only three check in desks. 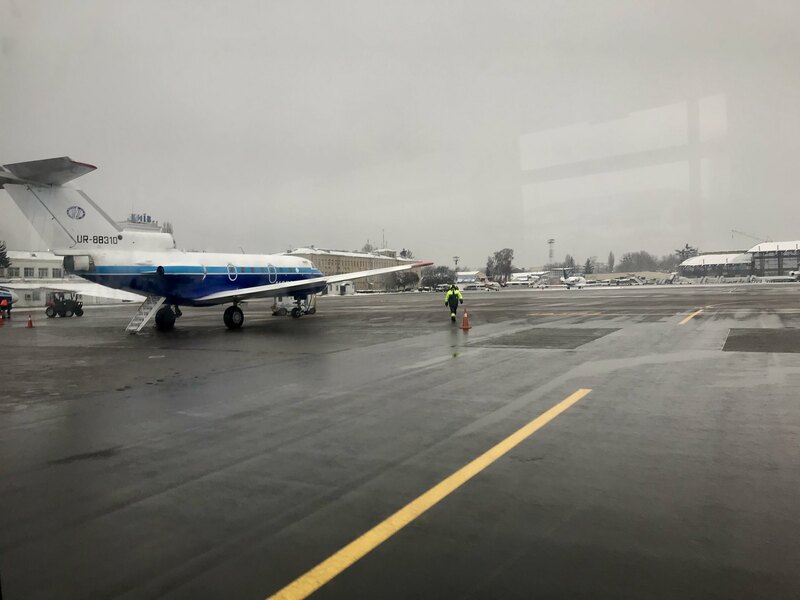 Being the only passenger in the landside portion of the terminal at the time, everything felt a little personalised, as if I had arrived at a private terminal ready to jet off in a business jet. Of the three check in desks, two of these were open – one dedicated to the 1000 departure to Lviv and the other for the 0950 service to Odessa. Upon walking straight up to the counter I was given a friendly greeting in English. This was a nice, if not surprising touch as this was the first time someone in Ukraine had assume I am not Ukrainian. Within about three seconds, my Kiev Airport branded boarding pass was printed off and I was advised to head through security. As expected, despite there being two check points, only one of these was open however with no queues whatsoever, this took no more than a minute to clear and before I knew it I was in the terminal’s small airside area. As I had suspected, the airside area was a little busier than the landside area but with only five passengers, it could hardly be described as Heathrow in terms of passenger numbers. 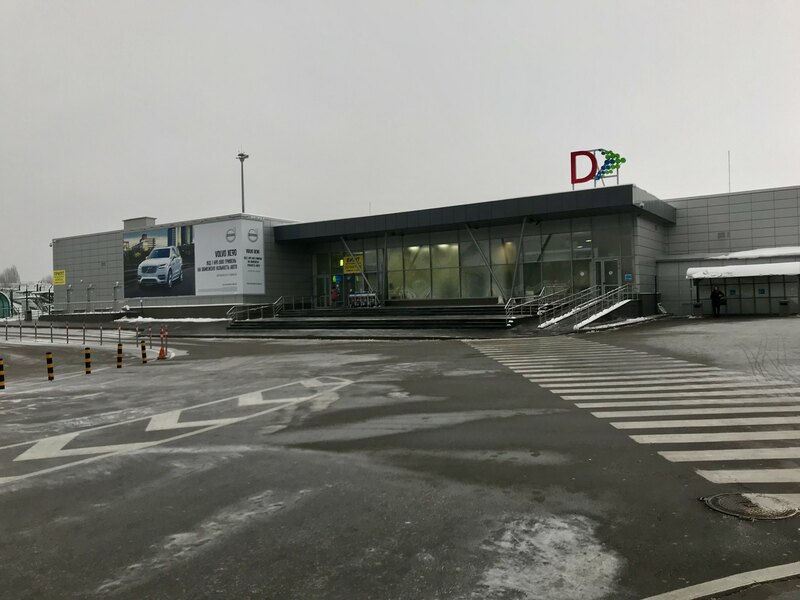 Airside, the Kiev Zhulyany’s airport appears to bear strong similarity to many of Europe’s low cost terminals – basic but modern and capable of serving its purpose. 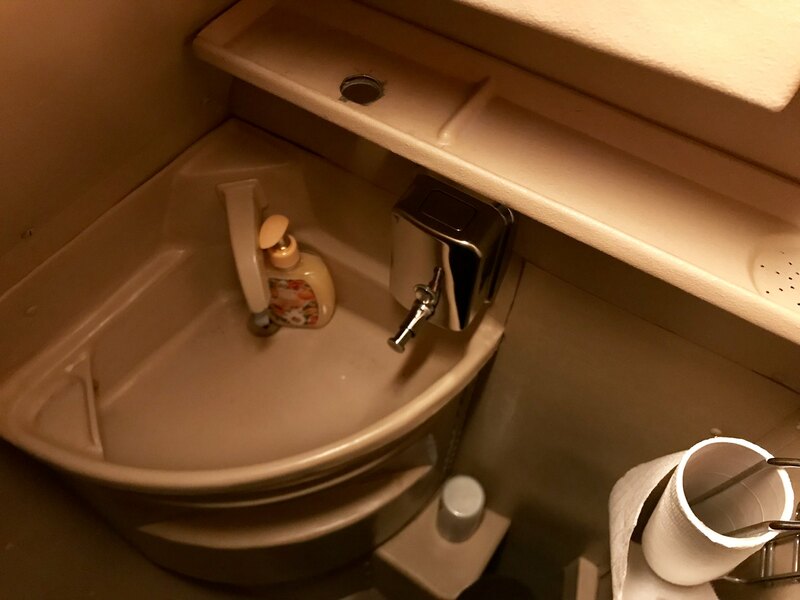 Importantly, everything appeared to be well-polished and perfectly clean, including the toilets. Furthermore, free Wi-Fi is available throughout and I found this to work well for the duration of my stay. In terms of facilities, these are limited to a small independent café and a miniscule business lounge. Having not had a coffee that morning, I opted to go to the former and part with 54 UAH for a cappuccino. Whilst expectedly a little more expensive than if bought outside of the airport, quality wise this was good and it was certainly cheaper than I’d expect to pay for a coffee shop coffee in the UK or Korea. For those interested in the goings on outside, several large windows are provided although due to the terminal’s position these do not really give great views of the airport’s arrivals and departures. They did however give fantastic views of an Airbus Corporate Jet at a nearby stand as well as distant views of a few Antonovs and stored Western jets. 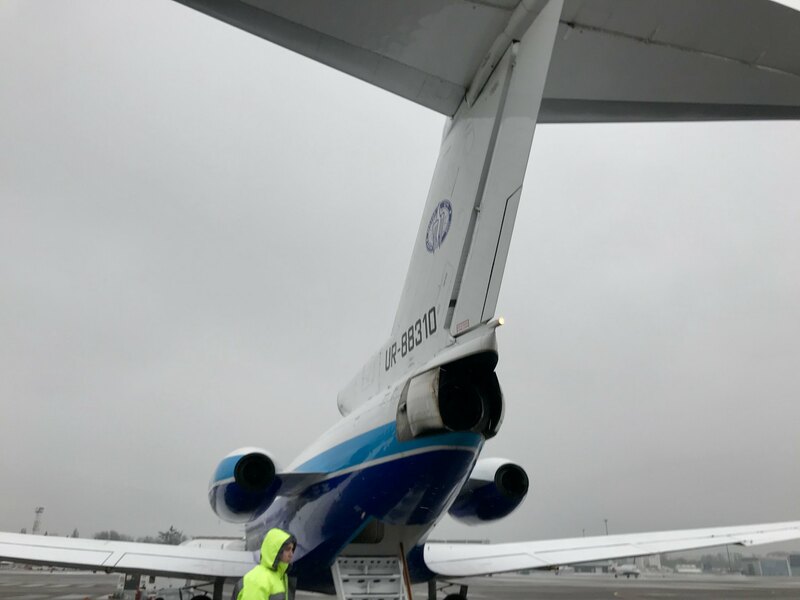 At around 0900, the terminal was filled with the roar of the two Ivchenko AI-24 engines fitted to one of Motor Sich’s Antonov 24s as it taxied past on its way to a remote stand following its arrival from Lviv. This aircraft was then followed by our comparatively quieter Yak-40 as it too made its morning arrival. As our scheduled boarding time of 0930 approached, the number of passengers in the terminal steadily increased however this remained far from the level needed to fill both departing aircraft. Just before 0930, the two staff members who had been manning the check in headed through to the airside area and a typical airport Cobus pulled up outside – both good signs that boarding would commence on time. 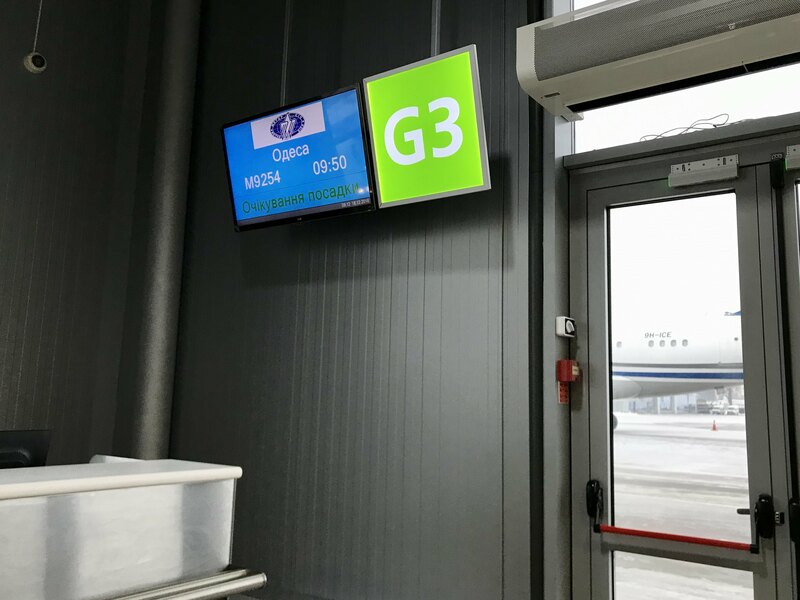 Boarding was announced on the dot in Ukrainian only and around a third of the passengers in the terminal stood up and proceeded to queue at gate G3. Moments later my boarding pass was scanned and I headed onto the very cold bus. Given the relatively few passengers on the flight, by 0933 all passengers had boarded the bus, the doors were then closed and we were driven away from the terminal. 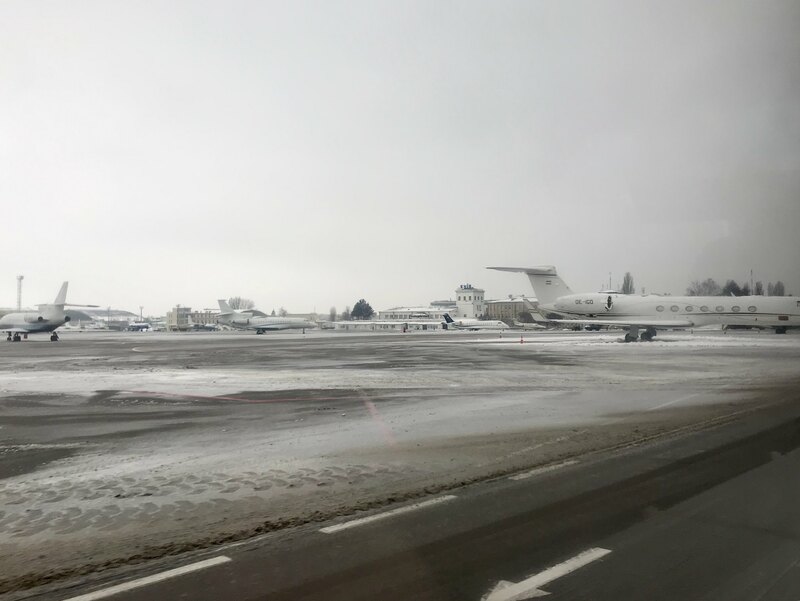 Our two minute journey to the aircraft took us through Kiev’s business jet park featuring a range of aircraft before heading towards our Yak-40 parked beside the fellow Motor Sich aircraft bound for Lviv. 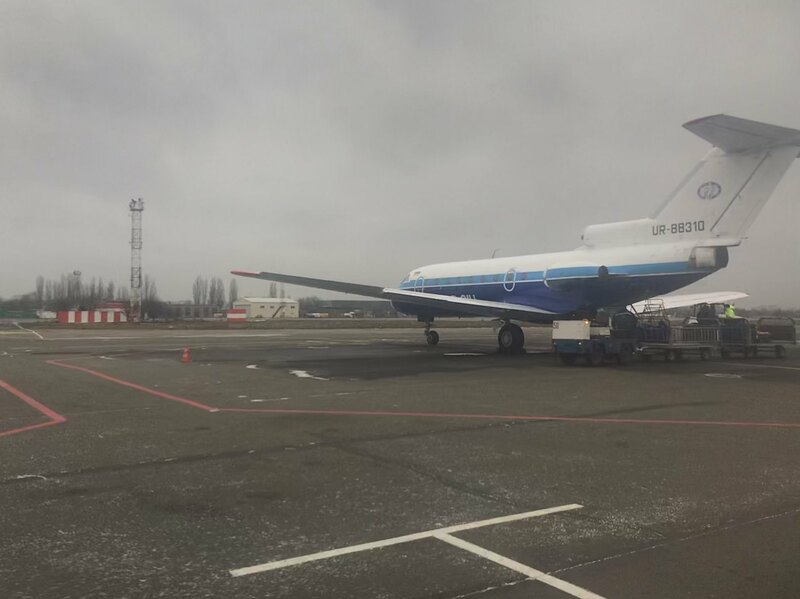 The aircraft waiting at the remote stand was UR-88310, having been manufactured at Yakovlev’s Saratov factory in February 1980, the aircraft is by no means young; however it is the most recent example in Motor Sich’s fleet. With the Yak-40 proving popular abroad, unlike many Soviet types which started their careers with Aeroflot, this aircraft was delivered to the Madagascan Air Force where it operated for the nation’s government for seventeen years. In 1997, the aircraft returned from the heat of the Indian Ocean, northwards to Ukraine to fly with the recently bankrupted Dniproavia. In 2002, the aircraft began operations with Challenge Aero operating flights for the nation’s Interpipe Group with a VIP interior. After a period in storage in Dnipropetrovsk, in 2010 the aircraft entered service with Motor Sich Airlines in a hybrid Motor Sich-Challenge Aero livery before being painted into the blue and white colours that one can see on the aircraft today. Once we pulled up to our clean looking Yak 40, the doors were opened immediately and a small queue began to form at the aircraft’s entrance. Noticing a family, one of the ground staff members pulled these passengers aside and allowed them to board the aircraft first. Once they were onboard the aircraft boarding for the rest of us commenced. Despite having flown on a few MD-80s, this was my first time boarding an aircraft through the rear door – an experience that is compulsory on a Yak 40 unless you fancy climbing in the aircraft through one of the emergency exits. Reaching the top of the steps, I stepped through the pressure door and into the aircraft’s somewhat spacious galley. 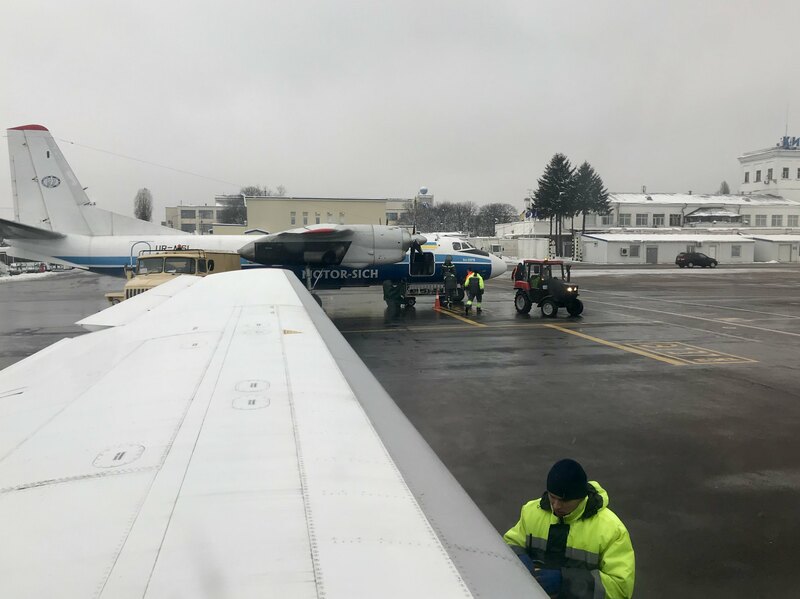 Here the flight’s sole flight attendant, dressed in a somewhat unofficial looking uniform consisting of a black fur coat from their own wardrobe welcomed passengers aboard the aircraft in Ukrainian. Sitting in seat 6A, the second from rearmost exit on the left hand side of the aircraft and the rearmost on the left, the journey to my seat did not take long. After storing my backpack in the small overhead lockers I proceeded to take my seat. Originally designed to seat passengers in a 1-2 configuration, most (if not all) of the few scheduled operators of the type operate this in a 2-2 configuration. 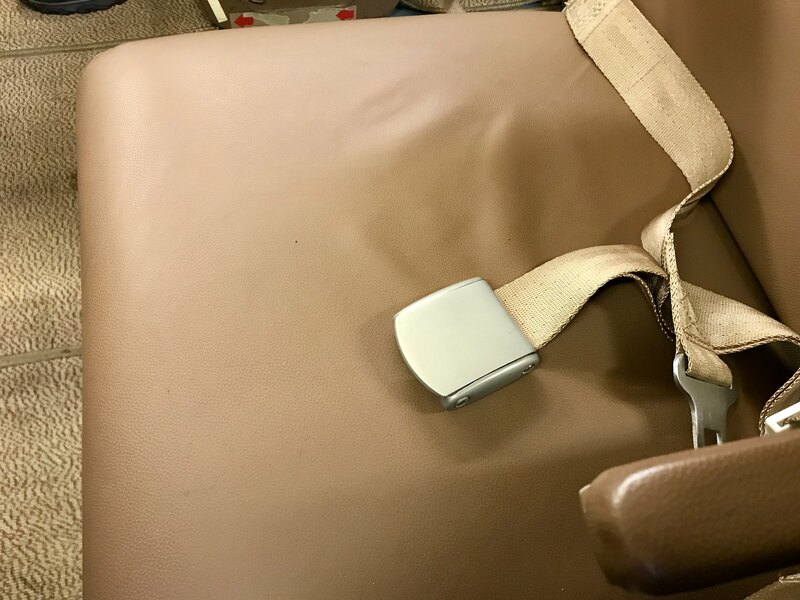 Subsequently, the seats are seemingly much thinner than one may expect from a seat onboard an airliner. However it must also be noted that onboard this aircraft, just like on a bus the bottoms of these seats are conjoined and if a passenger has no neighbour then spreading out across these would be fairly easy. Despite row 6 being an exit row, the legroom provided by these seats was no better than in any other row aka terrible. 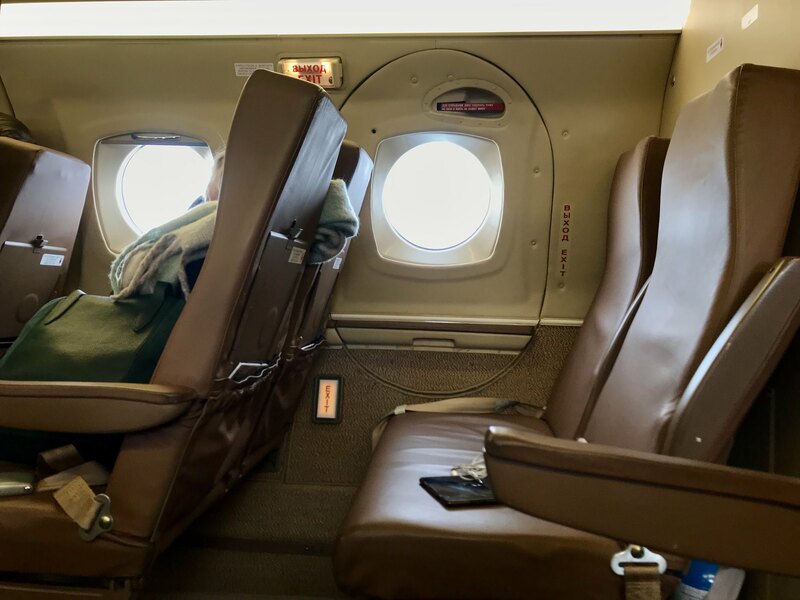 Being fully aware of the so-so comfort levels the Yak-40 would offer, this most certainly did not come as a disappointment, indeed comfort was not the reason I had choose to fly the aircraft! One of the first things I noticed is the very beige colour scheme and the heavy usage of leather in the aircraft’s interior. 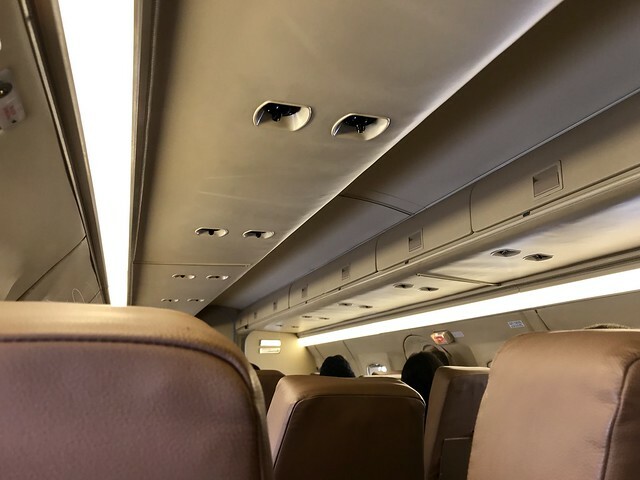 The overhead covers as well as the cabin walls are covered in beige leather whilst brown leather is used to cover the seats. Given the leather tinted scent of the cabin, I fully suspect that this is all real as opposed to faux leather. Beige carpets are used to cover the cabin floor and stretch to about a third of a way up the cabin walls. Overall, if you were to change out the seats, this cabin seems as if would match a 1980s business jet well. Moving on to the intricate details of the cabin, interesting call bells are non-existent with the PSUs containing nothing other than air vents. Finally, not only did the cabin appear to be spotlessly clean, there was also no sign of wear and tear whatsoever, Motor Sich appeared to have completed an impressive feat ensuring a Yak-40 is able to hide its age well to your average passenger. 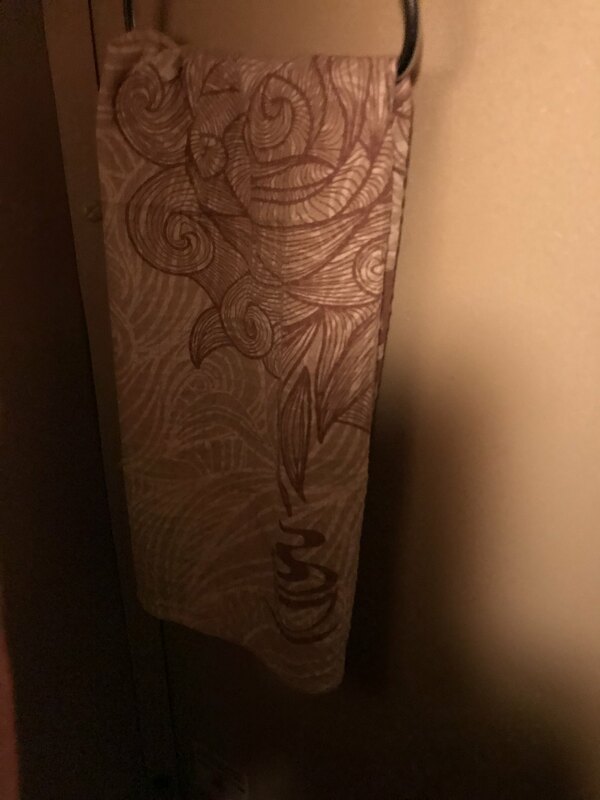 Once I settled into my seat and strapped my vintage seatbelt, I turned my attention to the contents of the seat pocket. 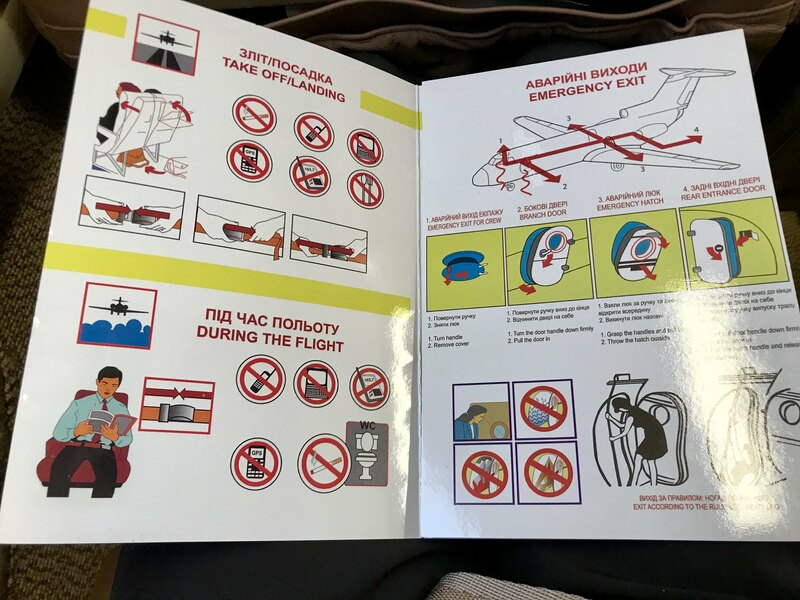 The contents of these seemed to be a little mish-mashed, with mine containing a copy of the Kiev Zhulyany Airport magazine and the safety card. Whilst that of 6B contained a Ukrainian magazine entitled ‘Financoff’ and nothing else. 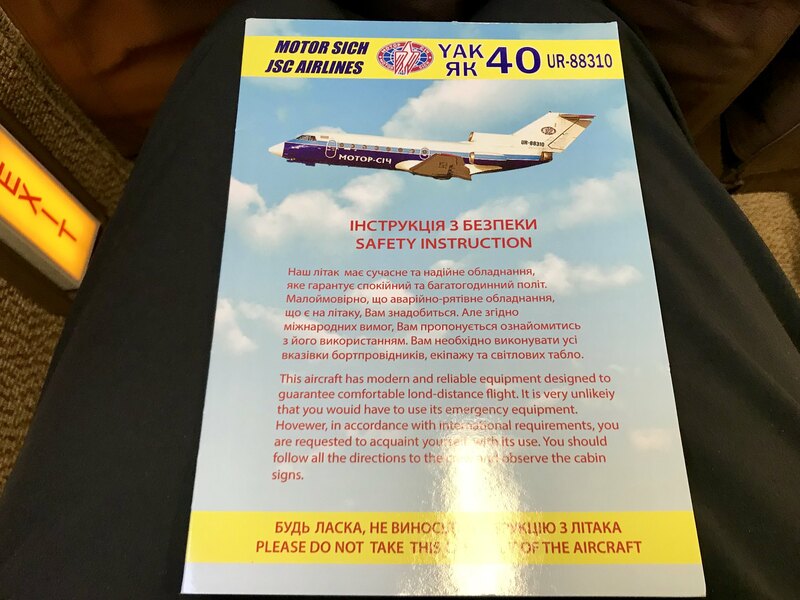 Interestingly, despite Motor Sich operating two Yak 40s of the same type and in identical configuration, this aircraft (and presumably the other) has a unique safety card featuring both the aircraft’s registration and a diagram of the exact aircraft. Whilst they would hopefully never be needed (especially since I would imagine our aircraft rarely flies over large bodies of water), despite a sign on each seat claiming life jackets were stored under these, I’m fairly sure there were no lifejackets onboard the aircraft. Furthermore, there were no oxygen masks either which was a little surprising given virtually all of the aircraft’s flights occur at an altitude greater than 10000 feet. With a relatively light load, boarding was completed within only a few short minutes. As it turned out both I and most solo passengers appeared to have an empty seat next to them indicating that even if the flight had been operated by the larger Antonov 140, this would have remained largely empty. Once all passengers were onboard, the cabin crew member promptly closed the cabin door and cabin was filled with the noise of a loud vacuum cleaner immediately followed by the high pitched noise of our three Ivchenko AI-25 engines powering into life. Unlike on many airliners in which it is possible to work out which engine is starting when, given the small size of our jet and the noisiness of its engines this was impossible. As these slowly spooled up, the cabin crew member commenced a welcome and safety announcement in Ukrainian before sitting in 7C in preparation for takeoff. Likewise both 7A and 6D were occupied by pilots who appeared to spend the flight going through paperwork. At 0945, our aircraft powered itself away from its stand and before promptly turning left before heading along the taxiway towards Runway 08. Taking around five minutes our taxi took us past a line of business jets and a Saab 340, some of which looked to be active whilst others were stored. At our scheduled departure time of 0950, our aircraft powered onto the runway and after a short pause the cabin was filled with significant noise and we ploughed along. 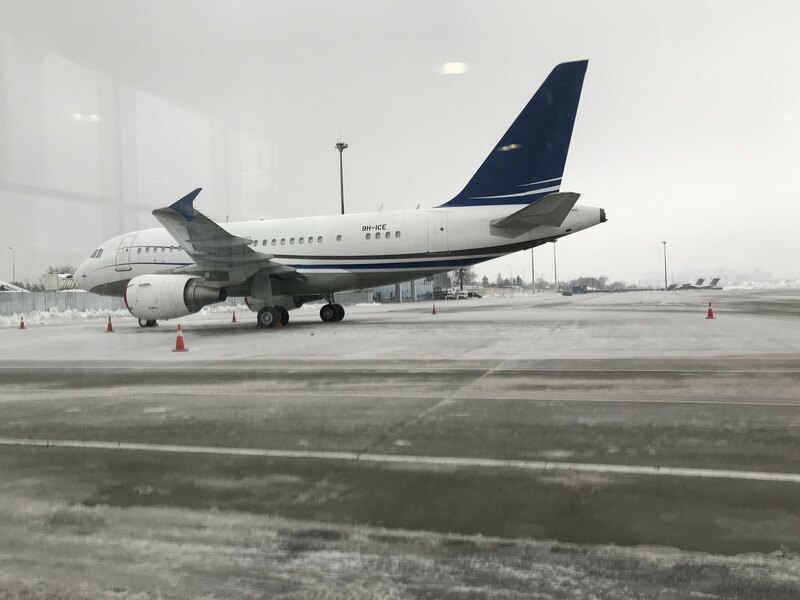 After a short take off roll we gently rotated into the grey winter skies passing first by a line of mostly all white stored Boeing 737 Classics and MD-80s camouflaging well into the untouched snow before flying past all the Soviet classics in the museum. 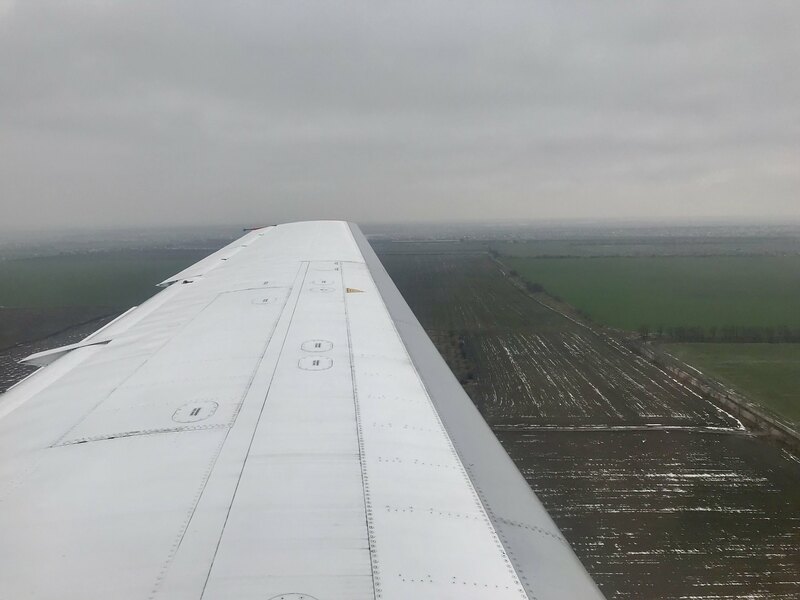 Whilst departures from Kiev Zhulyany can be scenic, the low cloud and poor visibility meant our views were limited to the residential areas in the vicinity of the airport before our aircraft headed into the clouds. 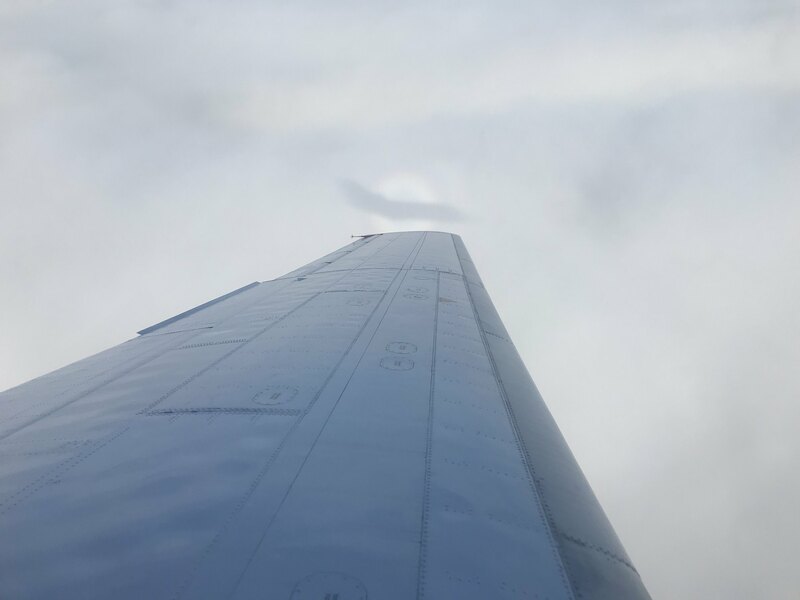 Whilst cutting smoothly through the clouds our aircraft turned southwards to put us directly on course for Odessa. 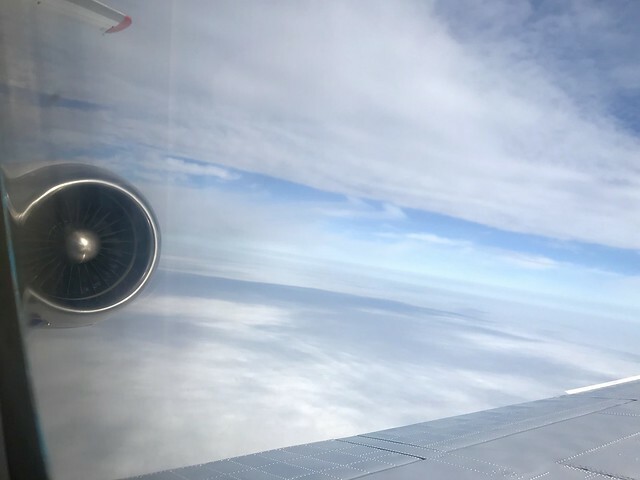 For the next few minutes we continued to noisily climb upwards, soon breaking through the clouds that would prevent any views of Ukraine for the entirety of our journey. 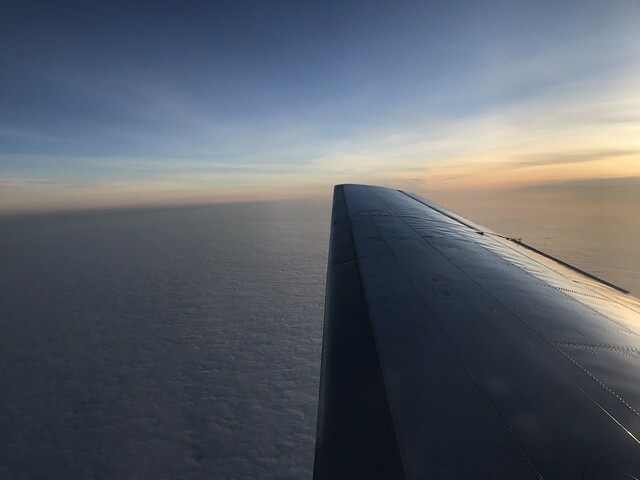 Whilst the seat belt sign remained on for the entire journey, once we passed through the clouds, the flight attendant rose and headed to the galley to prepare the inflight service. 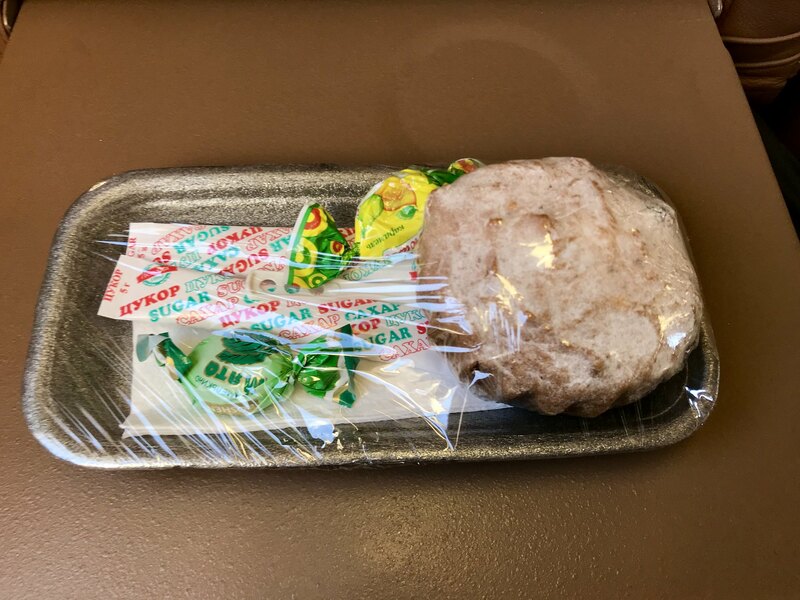 At 1007, the flight attendant conducted the inflight service by either dropping the tray tables and placing a Styrofoam tray wrapped in clingfilm on these, or by handing these directly to passengers. Inside these passengers could find a well wrapped cake containing a few raisins, a couple of boiled sweets and two packets of sugar. Once these had been handed out, the crew member returned to the galley before emerging again with cups of tea in Motor Sich Airlines branded paper cups a few moments later. As I ate the delicious if not a little crumbly cake, I tried to recall the last time I was served such a substantial offering on a short domestic flight – failing to do so, I conclude that this is a rather good offering and certainly beats that of Ukraine International who serve nothing on their Borispol to Kiev flight. At 1010, 25 minutes into our flight, we reached 21000 feet indicating the end of our cruise and spent the next 35 minutes at this altitude. 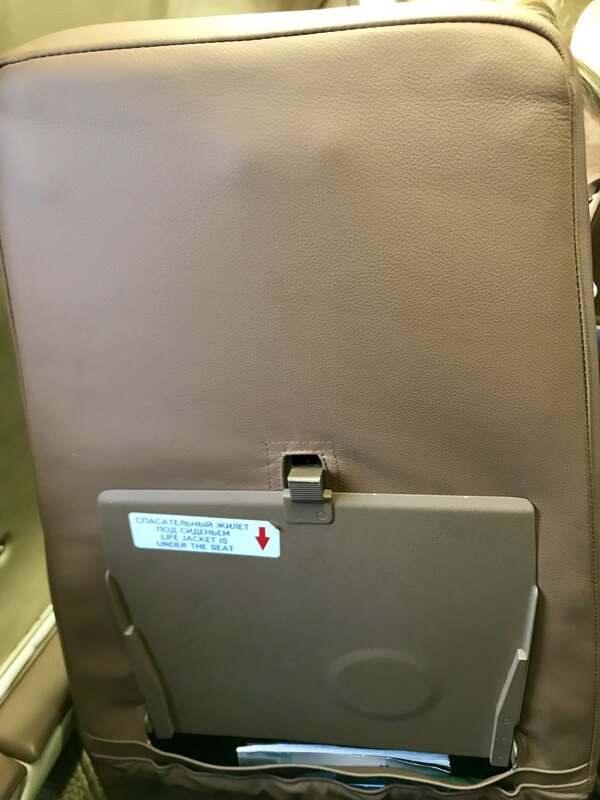 Around ten minutes after the snacks were handed out, the cabin crew member came to collect the empty trays before returning to seat 7C with little to do before our arrival. 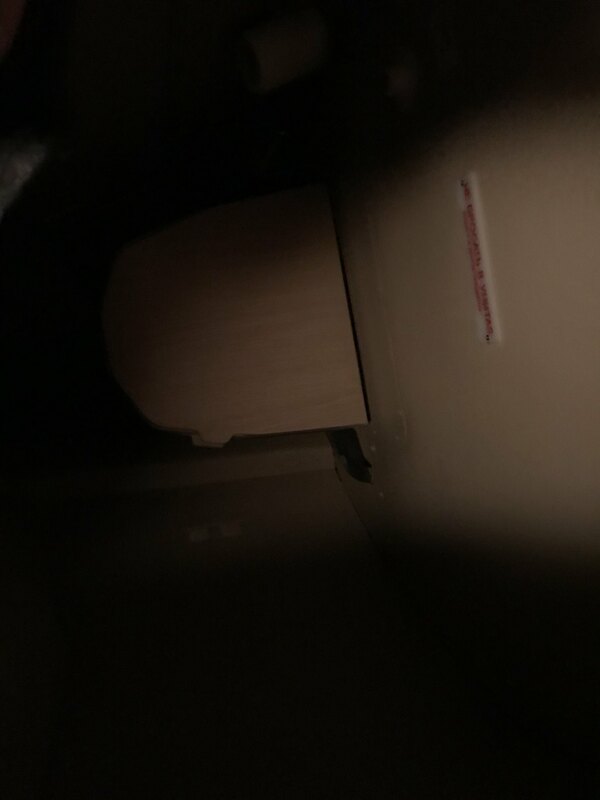 With no neighbour to push past, I decided to make the most of my freedom to visit the aircraft’s only toilet located at the rear of the aircraft next to the entrance. Perhaps designed as an afterthought, this is small and cramped due to the curvature of the fuselage and incredibly noisy due to its position right next to the engine. Yet, nevertheless, like the rest of the aircraft this appeared to be clean and with few signs of wear. As you would expect, this was also stocked with all you would expect including soap, tissues and even a towel for drying hands. 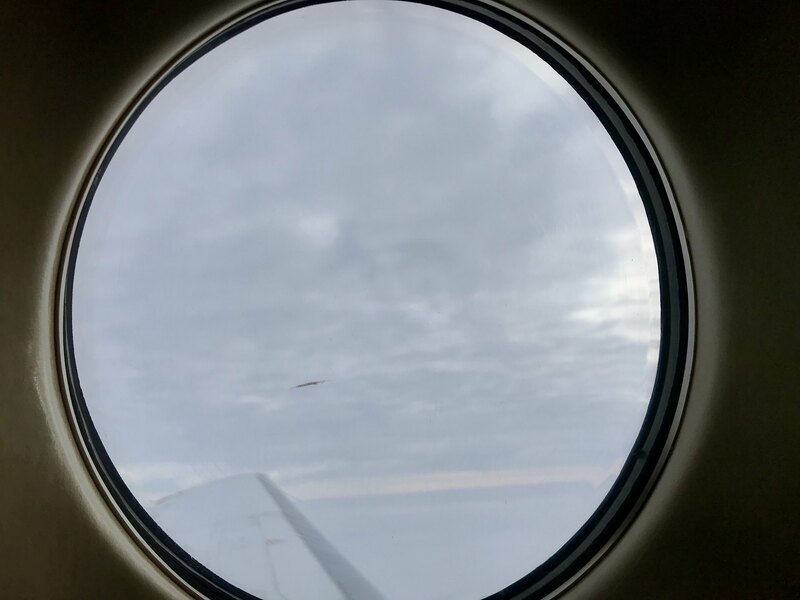 Once I returned to my seat, the skies above us had began to clear revealing good creating for a somewhat brighter environment inside the cabin although unfortunately the clouds beneath us remained. However, according to FR24, our flight took us pretty much straight down from Kiev to Odessa in a straight line. Turning my attention to the inflight entertainment, both the two magazines provided were in Ukrainian only and so if you are not into soaking up the atmosphere on old aircraft, then perhaps it would be slightly better if you brought along your own entertainment and noise cancelling headphones in order for you to hear this. Interestingly, if you’re somewhat that wants to spend as little time on aircraft is possible then Motor Sich’s service is not for you. 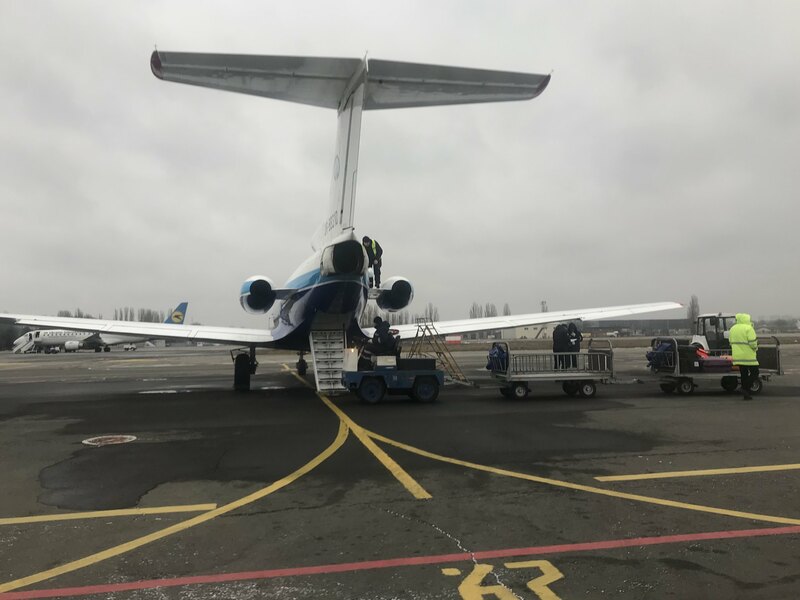 For example, owing to the faster cruising speed of their Boeing 737 and Embraer aircraft, Ukrainian International’s services between Borispol and Odessa frequently make the journey in under 50 minutes. 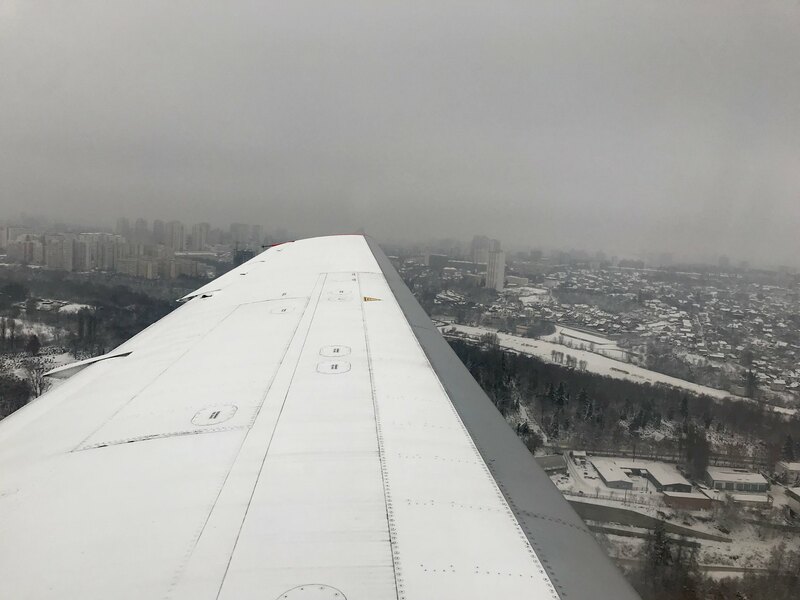 However cruising along in our Yak-40 at a steady pace of 220 knots meant that our flight was completed in a lengthy 1H21 (not that I’m complaining!). At 1045 the noise from the three engines decreased to a level in which perhaps, just maybe conversation within the cabin would have been possible before our aircraft began to slowly sink down. At this time the cabin crew member came around the cabin for a final time to remove any rubbish before returning to her seat. 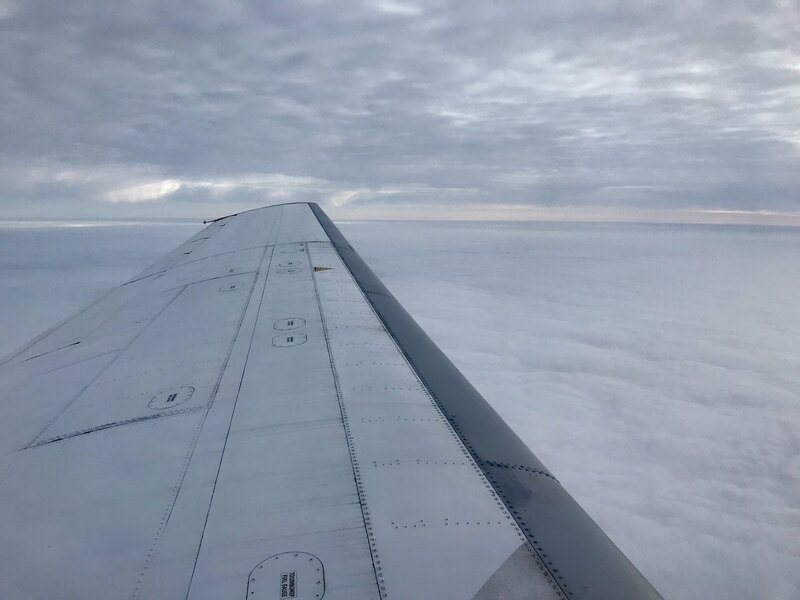 After sinking down very slowly, twenty minutes later our aircraft entered the clouds before our flaps were partially extended and gear lowered as we banked left to line us up for an approach to Runway 34. 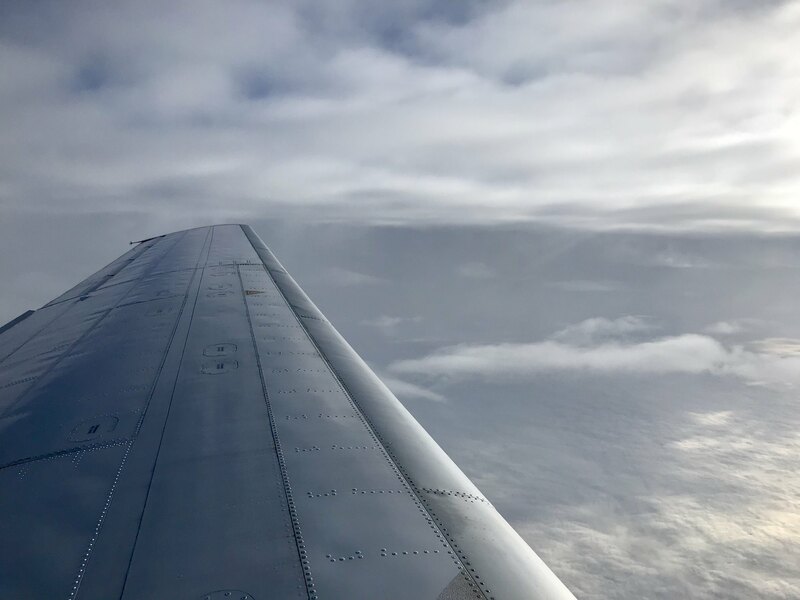 After experiencing the first few bumps during the flight, our aircraft sank below the clouds revealing the frozen green fields and towns near the airport. At the last minute full flaps were lowered and the engine noise fluctuated greatly before our engines were retarded as we floated over the perimeter fence, making a very gently landing in Odessa at 1111. After touching down, the cabin was filled with the noise from our thrust reversers. 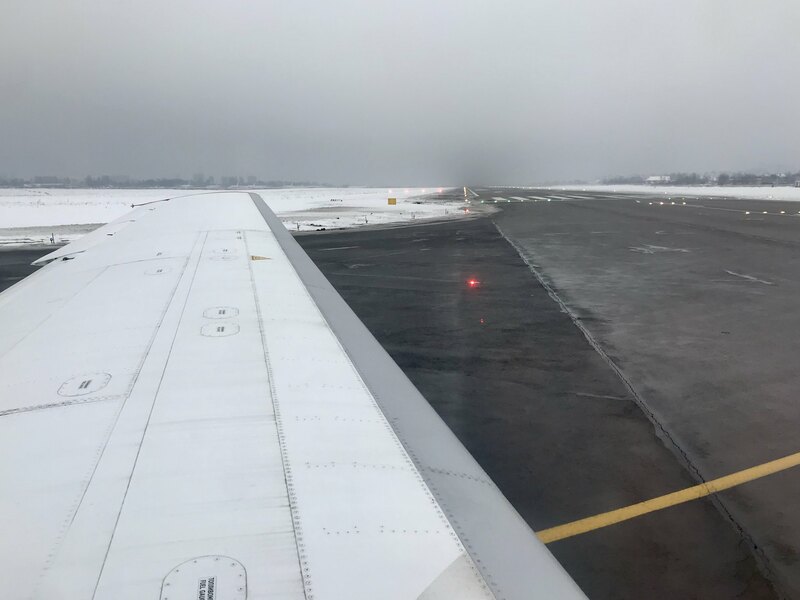 As the passenger apron is located at the far end of the runway, there was little reason for any quick turn off and so we braking gently, turning off at the end of 2800 metre long runway and making a short taxi to the remote apron, joining a Ukraine International Embraer 190 that had recently arrived from Kiev Borispol. Once we pulled into our stand, our engines were soon spooled down and all lighting went off for a moment before returning. Fortunately there was no rush to get off the aircraft and it was not until the flight attendant shouted up the cabin from the rear of the aircraft that we could disembark (I think) that passengers began to stand up. Despite being one of the last passengers to disembark, by 1119 I had made it onto the bus. 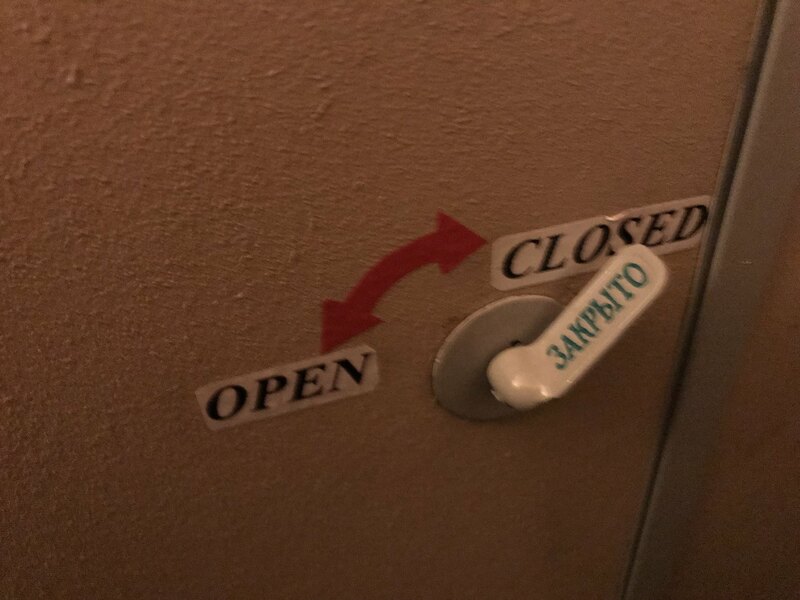 Lacking any jetways, all passengers in Odessa must either start or end their journey by bus. 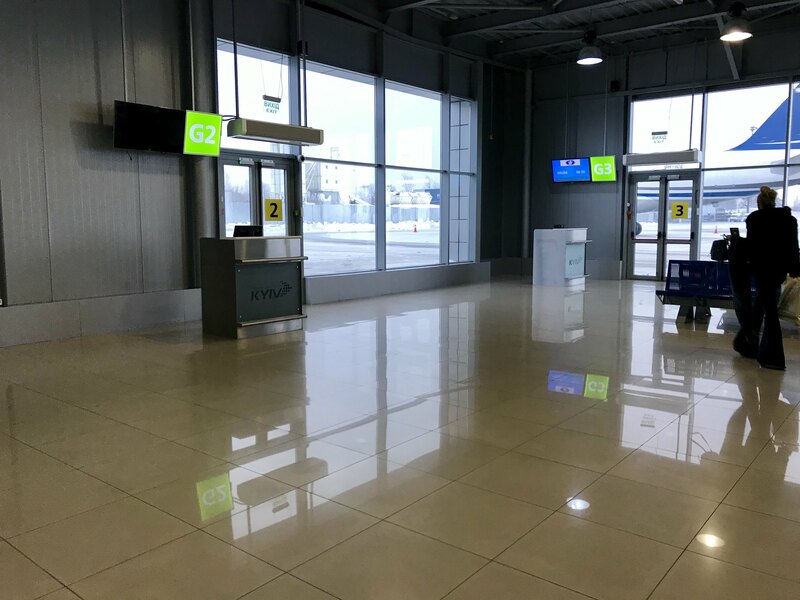 After a few moments the doors were closed and we headed towards Odessa’s large new terminal, currently serving arrivals (both domestic and international only) whilst the old terminal serves all departures. Finding the trolleybus stop was difficult, located in a car park towards the old terminal – much advice predates the opening of the new terminal for arrivals. Considered taking a taxi but was quoted 900 UAH for a ride of no more than 10 kilometres that costs 5 UAH by trolleybus. That’s it for this report, thank you very much for reading! Somewhere between Korea and the UK. Nice TR, always great read from such exotic places and airlines... Will be interesting to watch what will happen to this unique route when SkyUP will start in June with a bigger B737-800. Wow...amazing TR! Loved every word of it. Thanks for sharing! Awesome TR! Still one of my most favorite looking aircraft.